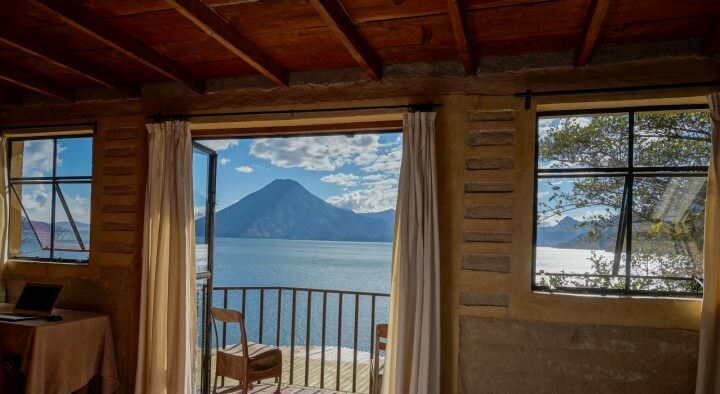 There’s a new type of travel that seems to be grabbing hold of backpackers all around the world. It’s probably most popular in places like Australia and New Zealand, but people are starting to realize the freedom that a mobile camper, campervan or motorhome can afford. Think about it. Drive yourself around a country, stopping only when you want to stop and sleeping wherever you feel like it. 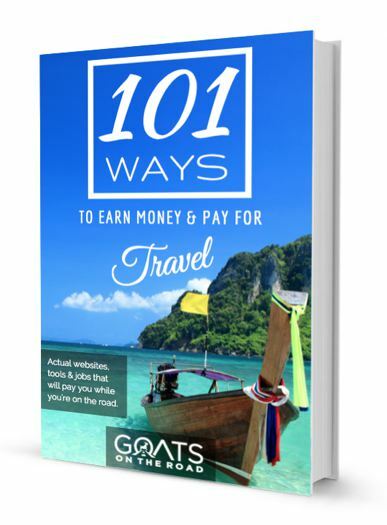 This is a type of travel that lets you do exactly what you want, when you want. 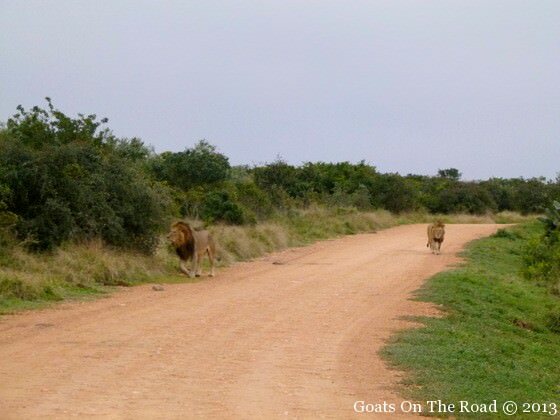 We rented a car and drove through South Africa in 2011, but looking back now we wonder what that trip would have been like if we were in an RV! We could have parked in some of the national parks and woke up to warthogs grazing outside of our window. These Guys Came Pretty Close! Would’ve Felt Better In An RV! We’ve always had it on our travel bucket list to rent a campervan and travel through Australia and New Zealand, but the more we look into it, we’re learning how viable of an option it can be in other places like Europe and the Americas. Of course there are a few details we’ll have to iron out before leaving, but the idea of traveling with a mobile sleeping unit definitely appeals to us! In our research we’ve found a few things that we’ll have to think about. Listing them here may help save others some time when planning for a big motorhome trip! 1. Buy or Rent? This is a big question when you’re first starting out but luckily it’s not too hard to answer. For us, it comes down to a balance of cost and reliability. Renting a campervan or motorhome would ensure that you have a new and well-maintained vehicle, as well as some level of roadside assistance with the rental company, but renting can be expensive. Buy Your Own And You Can Do It Up Nice Like The Flickr Photo Above! Ultimately we decided that, since we would probably travel for about 5 months, it would be worth it for us to buy and resell a campervan rather than renting. Renting an RV can cost from $1,000 – $3,500 / month depending on the country, so for the length of our trip, it certainly makes sense to buy rather than rent. 2. Where To Start? There’s really no right answer to this question. Just choose a country that you’re interested in (hopefully with good roads) and off you go. The easiest places to do this type of travel are definitely Australia, New Zealand, Europe and North America due to the accessibility of service and good roads. 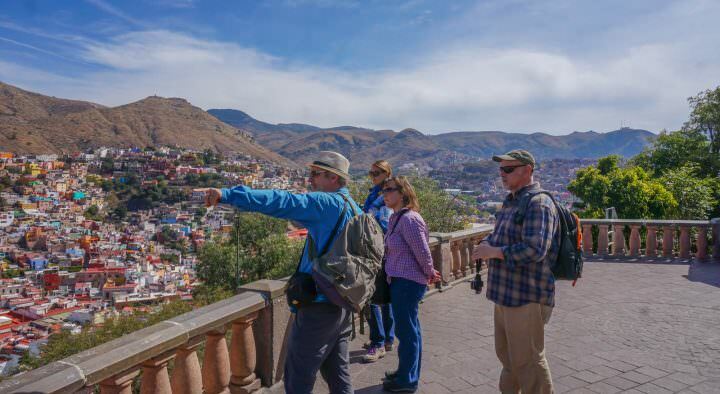 The popularity of this type of travel means that you’ll meet plenty of people along the way. 3. What Insurance? 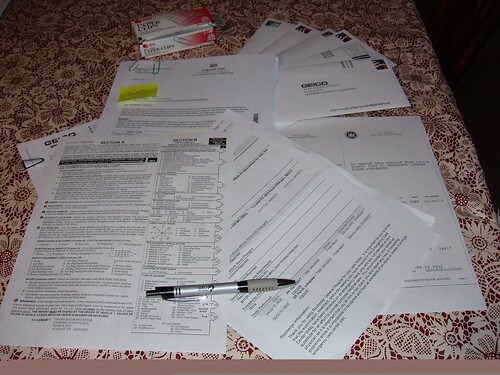 : There are plenty of places to pick up insurance packages in Europe, Australia, New Zealand and North America. Many rental companies have their own insurance packages but it’s often best to get your motorhome insurance through an independent agency. 5. How To Navigate? For us, there’s no replacement for a good GPS unit. You can pick these things up on ebay now for a couple hundred bucks and they are priceless. We drove through South Africa with just a map, and we had no problems, but it’s always nice to have that automated voice guide the way. 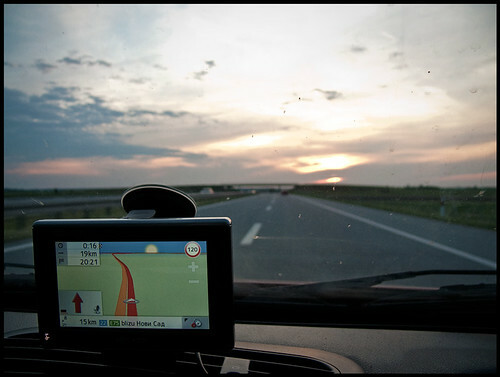 If you’re renting a motorhome or campervan, try to get a GPS included in the price, sometimes they just have them laying around the shop and will put them in for free. 6. If you buy, can you sell? From what we’ve gathered in our research, it’s not difficult to resell your vehicle when you are done with it. Of course, the ease of sale completely depends on where you are in the world. There probably aren’t a lot of people in Ghana looking to buy a campervan or motorhome! The easiest place to get rid of your used ride is Australia, with plenty of towns along the way which are dedicated to buying and selling RVs. Reselling in North America is pretty easy, you can place a free ad on Craigslist or Kjiji, or pay to put one in AutoTrader Magazine. If you’re in The UK or Europe there are similar services. This is a hard question to answer because it really depends on how much you drive, if you rent or buy and where you are in the world. We figure that we should be able to buy and sell the campervan with very little loss, so we’re looking at just the cost of insurance, gas, food and maintanence. 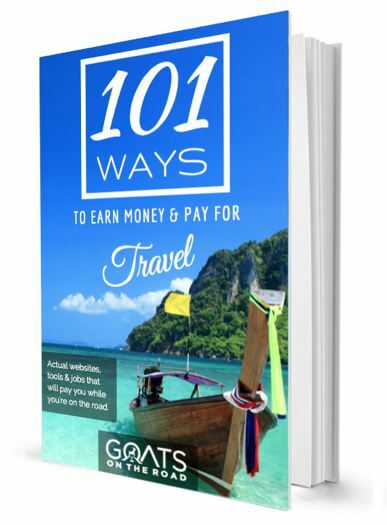 We believe that we can keep costs down below $100 / day if travelling in the UK, Europe, Australia, New Zealand or the Americas. These costs can be kept to a minimum in many ways. 1. Order your motorhome insurance through a trusted third-party provider and shop around for the best deal. 2. Plot out your route beforehand and figure out how many kilometers you will be driving in total. After the first time you fill up the gas tank, you should have an idea of your vehicle’s gas mileage so that you can properly budget the petrol for the rest of the trip. Minimize gas costs in North America by purchasing gas at Safeway. 3. Use a points card and airmiles. If you put all of your expenses on these cards, over five months you’re bound to build up some points and it may even help pay for your flight home. 4. 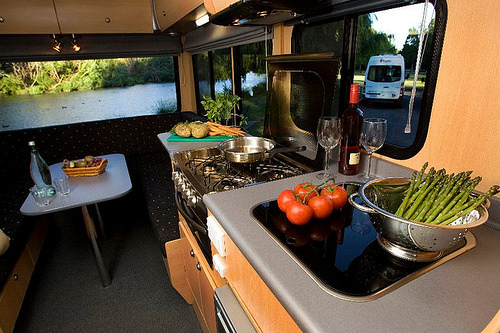 Cook your own food in the motorhome and minimize eating-out expenses. This can save you a ton. Think hotdogs and burgers! 5. Learn how to do minor maintanance yourself. This can save you a lot while on the road. 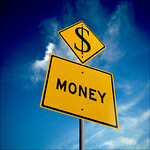 If you need to go to the mechanic for something as easy as an oil change, you may spend a lot of money on simple fixes. Check out YouTube for how-to videos. If you have 3G service when you break down, you never know, YouTube may save the day! Planning a trip with a motorhome or campervan can seem daunting at first, but the more research you do, the more you realize just how fun and easy it can be. So far, we’ve only rented cars and motorbikes around the world, but our plan is to one day drive a camper van across Australia and possibly across Canada and down into the Americas. These are lofty goals and will take plenty of more planning and research, but we look forward to branching into campervan travel. If you have any tips on this subject, please help us and our other readers by leaving a comment below. Share your experiences on your own campervan trips as well! Interesting! I’m not sure if I could do the RV thing or not… during our road trip through the US, I was SO happy to get out of the car at night. But that was also a volvo station wagon, not an RV! Super informative post though guys- definitely will keep this one handy if we do ever decide to do an RV trip! I know what you mean about wanting to get out of the car…we were in a very small car during our road trip through South Africa, and it was definitely nice to get out of it at night. I think a campervan would be much more fun and spacious! Can’t wait to do NZ one day. Thanks guys really informative post. Thinking along the same lines maybe for a trip round E.Europe or Canada this winter backpacker-skiing odyssey (prob too short to buy) and maybe Africa later in the year. Eastern Europe and Canada would be perfect places to rent/buy a campervan. Lots of people do Africa as well, but the roads aren’t very good, apart from South Africa. Thanks a lot for the comment and happy travels. Excellent post, guys! 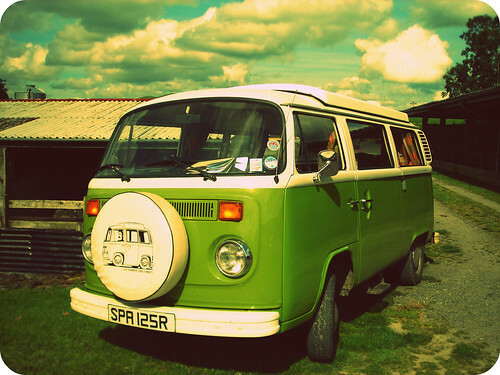 Makes me want to go back to owning a campervan! We lived out of our 1986 Chevy van (named Latoya) on an epic road trip from Vancouver, BC to St John’s, Newfoundland, and then back again, driving some 20’000km! And we didn’t pay for a single night’s accommodation! It had a queen size bed in the back, but no in-house cooking facilities. It meant we had to get outside to cook on our little gas burner every night, but we think it made it way more exciting. We saw so many people pull up to the most beautiful locations…And never even leave their RV’s! When you have all the creature comforts of home in your vehicle, it becomes too easy to simply relax on your couch and throw on the TV. We owned a smaller van, a little bit more campervanish, here in Australia for a few months and it was awesome to get around. Highly recommend it for this part of the world, although a 4×4 is more practical for Aus. Hope you get to NZ or Australia in the very near future! That is so cool guys! I think crossing Canada by way of Campervan is the way to do it! We really want to go coast-to-coast one day. We’ve seen more of other countries than we have of our own. This is actually not so new, the hippies in the 60’s were buying school buses and vans where they lived and traveled around. Later on, the punks in the 70’s and 80’s rescued that idea. Nowadays yuppies buy massive RV’s to travel cross country and in the USA it’s becoming popular for retired people to sell their stuff and move to a luxurious RV where they have the freedom of movement. Look forward to what you put out there, love all you have for us. Thanks for sharing Kymee 🙂 I too love having comfy pillows and blankets, and I love having the freedom to go where we want, when we want. I think we’ll really love taking a campervan across NZ. Oh, it’s absolutely the best way to see NZ. Campervanning the South Island was one of my favourite trips ever. Definitely better to go in shoulder season – prices are insane during summer if you rent. 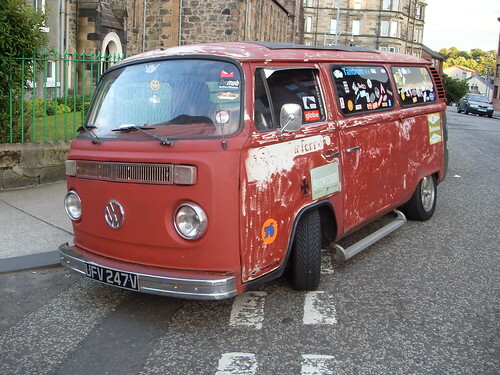 Ya, it would be a bit tiring, but that’s the great part about a campervan…you can just go for a snooze in the back! 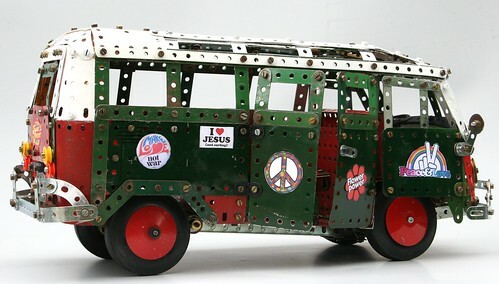 VW campervans and various “tuned” VW vans were quire trendy even when I was a kid. I actually can afford to travel (generally 1-2 week trips several times in the last year+) by ditching rent ($1000/month) in favor of living in my tricked out van. I live in a major US city where it’s technically illegal (though the next town over it’s ok) so my place is actually not an obvious RV but a cargo van that I did up the interior of. It can be much cheaper to do this- spend a weekend doing a little DIY platform for sleeping and storage underneath, grab a Coleman stove and good cooler, and you’re all set! Better gas mileage on a cargo or minivan, and often you can pick these up for cheaper. RV’s are a nice option too but in many places in North America one is not allowed to camp this way. We have many great outdoor spaces but cities are nice too. There’s a whole community of people who do this full-time- “vandwellers”- but I see it more as a way to spend time NOT in the van. A nice blog you’d enjoy is Drive Nacho Drive, they have a traditional VW van and have gone through out the Americas and are in Asia now I believe. Love your site, especially Central Asia! I am still timid to go there as a solo female traveller who doesn’t know Russian, so I am holding off for now, until I can afford a tour like Dragoman, find a partner to travel with, or get over myself and DIY. As for Central Asia – it’s definitely a challenge travelling there without knowing Russian, but we don’t speak Russian and we did it. If you had a phrasebook, that would help. We didn’t meet all that many travellers in that area of the world, but when we did, they were mostly couples, groups of friends or solo guys… but it would still be ok as a solo woman. You would have great experiences with the females of Central Asia and you could meet up with other singles or couples and move on together. Thanks for commenting and Happy Travels! hi all, traveling is my life project and motorhome is most feasible for kilometers around the world. the best vehicle for 2 people is a volkswagen combi, I would like to put one with twin engine, one forward to diesel and gasoline original rear and working both at the same time have a 4×4 for specific times and places. I recommend Venezuela 10,000 km are made. by good roads with lovely landscapes and wonderful people everywhere, I leave my email for any question about Venezuela. [email protected]. Success to all trips. Hi! Im researching about motor homes for my studies. Can you share some tips on maintaining the toilet for motor homes? Thank you!